Men’s Aprons With Attitude As Low As $10.24! Down From Up To $32! You are here: Home / Great Deals / Men’s Aprons With Attitude As Low As $10.24! Down From Up To $32! 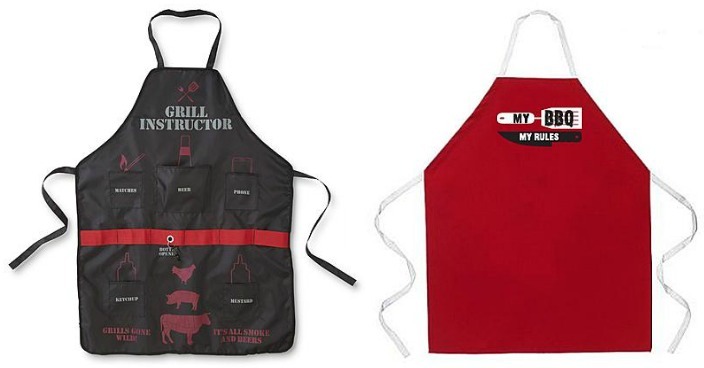 Sears has these Men’s Aprons With Attitude on sale for $10.24 (Reg. $32)! Spice up your life with a little ATTITUDE. These cute aprons will liven up your day with a quick smile. Made in the USA. One size fits most. Fully adjustable straps. Poly/Cotton Twill.